Friends, here’s yet another freebie this Christmas winter season. 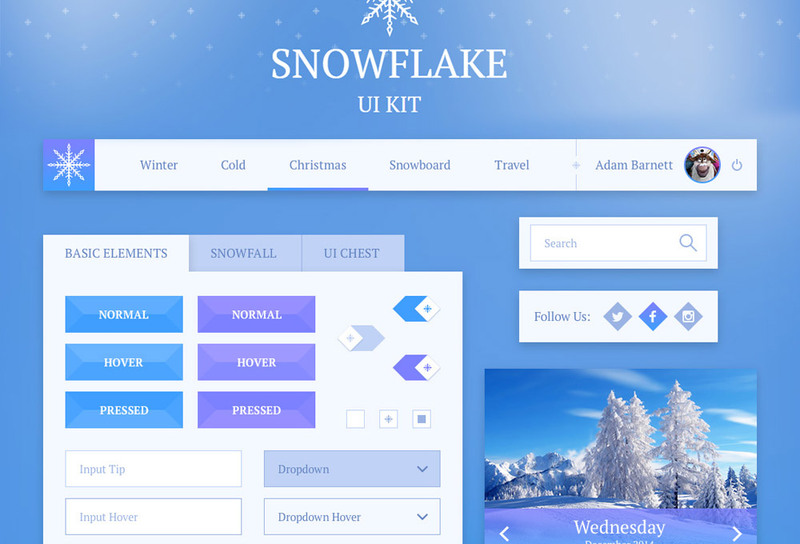 This UI kit comes with the winter theme, clean and beautiful just like the icy blue and chilled out winter, created by UIChest. The winter-inspired UI kit contains various elements such as navigation, tabbed box, buttons, input boxes, dropdowns, sliders, switches, search, social widget, calendar widget, profile widget, video, post, graphs, pagination, slider and more. These are components are perfect for to add winter theme to your websites, landing pages or newsletter designs.